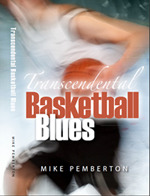 Transcendental Basketball Blues is Mike Pemberton’s first novel. Also available on Amazon Kindle . Mike Pemberton was born and raised in Normal, Illinois. As an adult he lived in Chicago and Dallas before returning to central Illinois and the small town of Hoopeston where he has been self-employed for twenty years. He holds a B.S. and Masters in English from Illinois State University and is a former sportswriter and columnist with the Pantagraph newspaper in Bloomington, IL. He spends his spare time with his wife and two children, does volunteer work, and runs, taking part in 5 and 10K’s “when the mood strikes and the temperature is below 80 degrees.” On Saturdays in the fall you can find him tailgating at University of Illinois football games with family and friends. 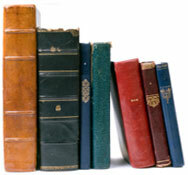 Mike’s short stories, essays, and excerpts from novels have appeared in such literary journals as Euphemism, Touchstone, Aethlon, Sport Literate, and Indiana Voice Journal. Mike appears on a regular basis as a columnist in the Sunday Commentary section of the Champaign News-Gazette. He reads his fiction and creative nonfiction at literary conferences, libraries, businesses, and community groups. Mike interweaves his experiences and life lessons learned as a writer, businessman, community leader, and family man in his presentations. Please email him at info@mikepembertonbooks.com to schedule a speaking engagement.